You are organizing an end of year party with your classmates: to determine all the details of the event while optimizing your time, you have decided that, instead of meeting physically, you will be connected by phone using the function of WhatsApp group video calls. However, unfortunately, until now you have never used the feature in question and there are issues that you will not be able to keep the appointment with your friends. No worries, if you want I can explain how to make group video calls on WhatsApp. Contrary to what you might imagine, there’s nothing complicated about making group video calls on Facebook’s popular messaging app: all you have to do is initiate a “single” call with one of the contacts saved in your address book and then add new participants (up to four, including the caller) using the dedicated button that will appear on your smartphone screen. You will find all the details below. Just a little bit of clarification prior to starting: when I wrote about the function of group video calls on WhatsApp is only available on Android and iPhone, while it is not available for WhatsApp clients who use Windows and macOS and on WhatsApp Web where the standard call/video call function is not available at all. Having said that, all I can do is to hope you enjoy reading and have fun with your friends using videochat! 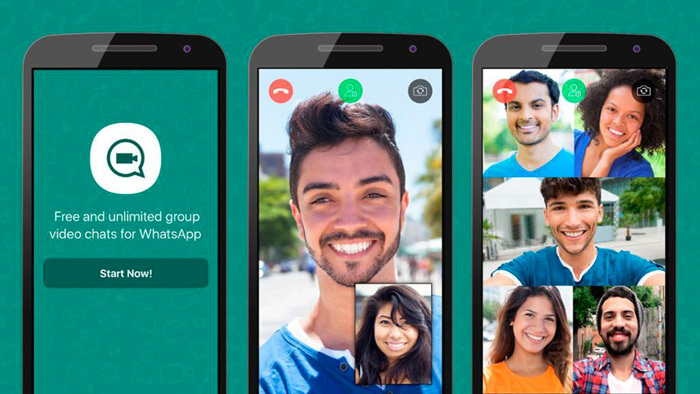 Would you like to know how to make group video calls on WhatsApp with Android? I can assure you that this is very easy to do. All you need to do is launch WhatsApp on your device, make a video call to one of your contacts and then add more participants using the dedicated button that appears on the screen. Let me explain in more details on how to proceed. 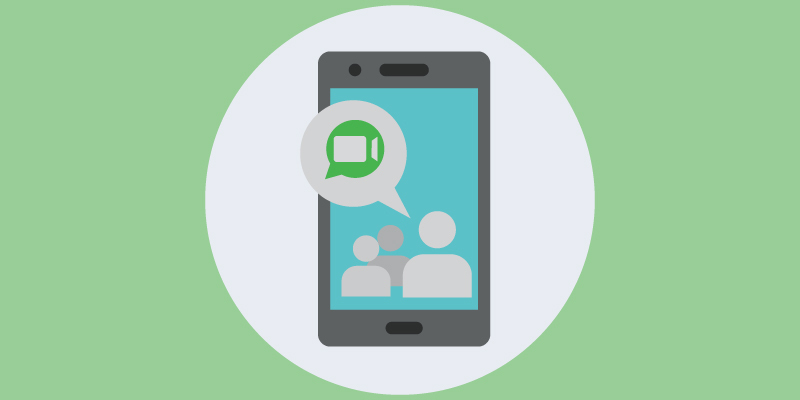 To make a group video call, launch the official WhatsApp app on your Android smartphone or tablet, tap on its green icon depicting the characteristic white handset, then select the Calls tab located at the top right and tap on the white handset icon on a green background with the (+) symbol beside it, at the bottom right. that appears next to the name in order to make the video call. icon at the top right and then on CALL. As soon as the contact accepts the call, the button depicting a little man will appear in the top right corner of the screen with the (+) symbol beside it (if it disappears, tap on the screen to make it reappear): tap on it to add a new participant to the video call and, in the next screen, locate another contact you want to participate, tap on their name to add them and confirm the action by pressing on Add. next to him/her in the top right corner, tap on the name of the user you want to add to the conversation and then click on Add to the message that appears. Remember that when I write, group video calls on WhatsApp can support up to four users (including the caller). I would also like to remind you that the users you call can also add other participants to the conversation (provided that the limit I mentioned earlier has not already been reached). Note: If you do not see the button to add new participants to the video call, make sure your WhatsApp is updated to the latest available version. To do so, go to the Play Store page that hosts WhatsApp and press the Update button (if necessary). For more information on how to update WhatsApp on Android, read the more detailed information I’ve just linked. and make a swipe from bottom to top (just follow the arrows). Group video calls are easily recognized by the call preview screen itself: this screen shows the words WhatsApp Group Video Call and even the names of the contacts who have already agreed to participate in the conversation. 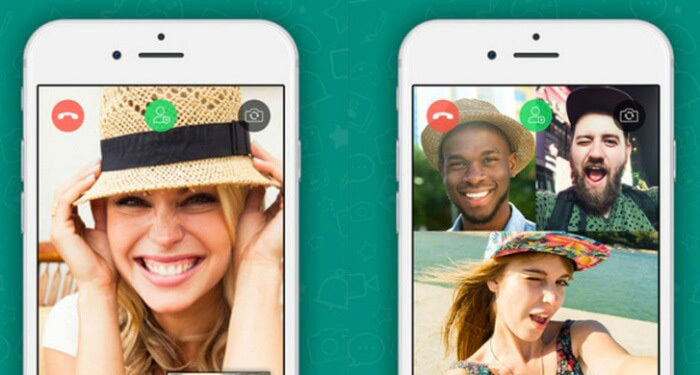 Would you like to know how to make group video calls on WhatsApp with your iPhone? Be aware that the procedure you need to perform is not so different from the one I have described in the chapter dedicated to Android. Also in this case, in fact, you have to launch WhatsApp, make a video call with one of your contacts and then add the other participants using the appropriate button that appears on the screen. Find everything explained below. button next to the name of the contact you want to call. button located at the top right. As soon as the contact you called answers, tap the button depicting the little man with the (+) symbol at the top right (if it disappears, tap on the screen to make it reappear) and in the screen that opens, identify the other user you want to add to the call, tap on his/her name to add him/her to the conversation and confirm the action by replying Add to the message that appears on the screen. , tap on the name of the user you want to add to the conversation and reply Add to the message that appears. Remember that when I wrote, group video calls on WhatsApp can support up to four users (including the caller). I would also like to remind you that users who call can in turn add other participants to the conversation (provided that the limit I mentioned earlier has not already been reached). 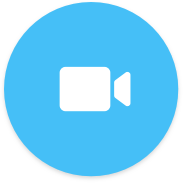 Note: If you do not see the button to add new participants to the video call, make sure WhatsApp is updated to the latest available version. Then go to the App Store page that hosts WhatsApp and press the Update button (if available). If you want more information on how to update WhatsApp on your iPhone, take a look at the guide I’ve already posted on my blog. Accepting a group video call on WhatsApp is not difficult at all: you simply have to “pick-up the handset” by tapping on the Accept button (the icon of the white videocamera on a green background) that appears on the screen when a user calls you and it is done. If before accepting the video call you want to know if there are other users connected, you just have to pay attention to the information you see in the preview screen of the video call itself: on this screen, in fact, you will see the words Group video call incoming and even the names of the contacts involved in the conversation will be shown.